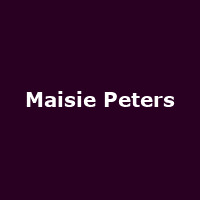 British pop singer/songwriter Maisie Peters earned a widespread YouTube following in the mid-2010s. In 2017, when Peters was 17 years old, her debut single "Place We Were Made" became a viral hit, amassing millions of streams. She issued the EP Dressed Too Nice For A Jacket in 2018.